The holidays are here and so are the out of town friends and family. (To the tune of It’s Beginning to Look Alot Like Christmas”) My home is beginning to look alot like a bed and breakfast. That means the guest bedroom is getting its fair share of use. And so are the sheets. As a hostess, it may be impossible to maintain as sanitary a home as I like during the holidays, but golly, those sheets sure will be comfortable! Having a lovely, inviting bed is important to me, so let’s talk sheets! Here are my current top 3 contenders currently making their rounds in my guest bedroom. I have a set of Raymond Waites bedding and it sets the par for comfort. There is some truth to a higher thread count, but I haven’t bought into the hype. A magnificent number (usually followed by a magnificent price tag) does not always indicate comfort for me. 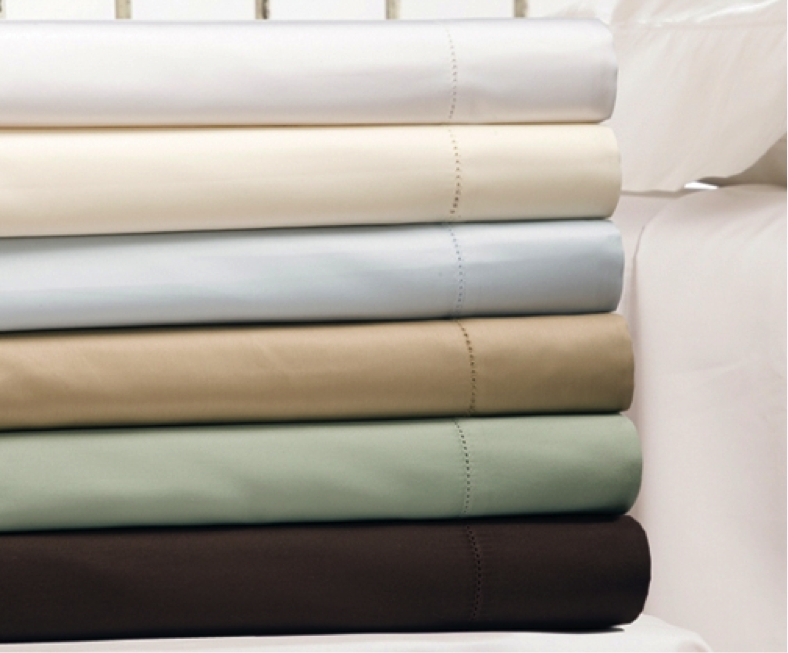 At 300 thread count, it is the perfect set not only to lay out for guests, but also for everyday use. I find the designs to be neutral enough for any guest bedroom without being boring. I love the fact that it can be reasonably and easily purchased. A quick trip to Bed Bath and Beyond or Bloomingdale’s and score! 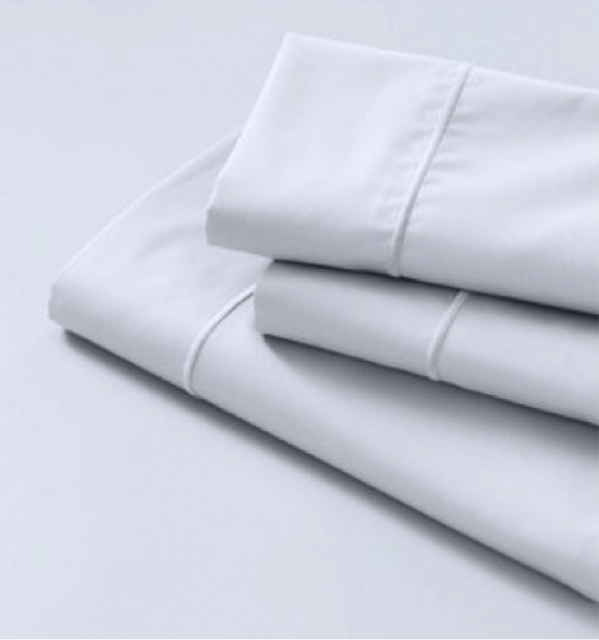 Also on my top 3 list is Land’s End No Iron Supima Sateen Sheets. The use of the phrase “no iron” is enough for me to embrace these sheet sets faster than a frozen turkey can explode in a deep fryer. With cooking, cleaning, and entertaining on my mind, the last thing I need to add on to the list is ironing. Any company can market that term, but these sheets really stand up to the test. Land’s End also gets an additional plus in my book because they sell sheets in hard to find Twin-XL size. For any discerning guest who favors elegance and luxury, I lay out Charles P. Rogers’s 400 Thread Count Prima Cotton Sheets. It’s not easy for dark colors to make it out of a washing machine alive, alive and vibrant, but I have these in the sesame color and they really shine, wash after wash. These sheets are extra roomy. With other sheet sets, I find it harder to get my bed dressed than my toddler. And the bed doesn’t squirm or talk back! Not so with this sheet set. Even on my pillow-topped mattresses, there is ample room still left. Where other pillowcases squish the stuffing in my king sized pillows into shape, theses allow them float and drift happily. And this makes me a happy hostess.